The first in our new series of posters designed to teach you all the basics of PRINCE2. 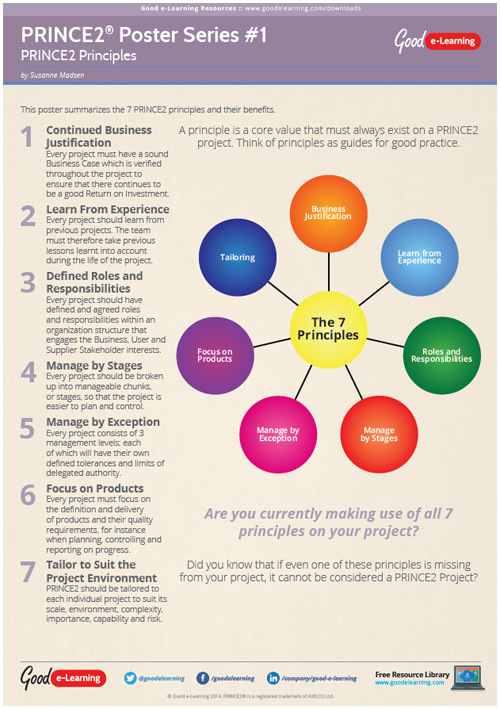 In this poster, we summarize the 7 PRINCE2 principles and their benefits. Are you currently making use of all 7 principles on your project?